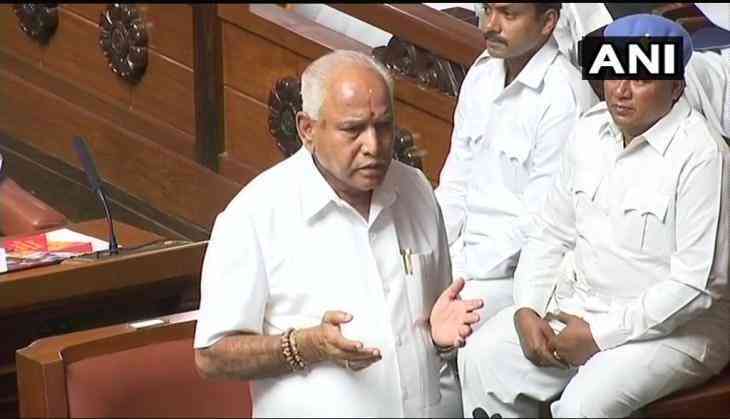 Home » Politics » Karnataka crisis: What lies ahead for Yeddyurappa and Congress-JD(S)? Karnataka crisis: What lies ahead for Yeddyurappa and Congress-JD(S)? As BJP’s chief minister for two-and-a-days, BS Yeddyurappa threw in the towel in the Karnataka assembly and announced his resignation on Saturday, it was a sweet smell of victory for the Congress against Narendra Modi-Amit Shah combine in four years. Though Congress has had small satisfaction of winning in Punjab and giving BJP a run for its money in Gujarat, it was the first time after Modi became prime minister that the grand old party had outsmarted the two ‘Chanakyas’ of Indian politics in their own game. It was an extremely tough and bruising battle over the last three months for the Congress to ward off BJP’s challenge, and though it came second best to BJP in the numbers, it took the BJP strategists completely off guard by aligning with the JD(S) and offering HD Kumaraswamy the chief minister’s post even before all the results had come in. Siddaramaiah, who had won in one seat and lost the other and hated to see Kumaraswamy becoming chief minister, tried to put up a resistance, but senior Congress leader Ashok Gehlot, who was micro-managing the elections, asked him to take a back-seat as the party knew what to do. In fact, Gehlot and Ghulam Nabi Azad had flown in to Bengaluru two days before the counting of votes on May 15 and had got in touch with JD(S) supremo HD Deve Gowda for a possible deal. On the other hand, when the BJP’s tally stalled at 104, eight short of majority, Amit Shah did not even have any of his party’s senior leaders in Bengaluru to work out counter-strategies. When governor Vajubhai Vala decided to go by the convention of inviting the leader of the largest party and asked Yeddyurappa to take oath, the legal eagles of Congress and JD(S) knocked on the doors of Supreme Court late in the night and got the court to keep a hawk eye on the entire events leading up to the floor test in the assembly. Yeddyurappa might have been worsted, making him the chief minister with the shortest term in Karnataka’s history (his two other terms had also ended in seven days and 39 months, respectively), but he will continue to lead the BJP in Karnataka. In fact, in his ‘farewell’ speech in the Assembly he said, henceforth his focus would be on winning 28 out of 28 seats for BJP in Karnataka in the coming 2019 Lok Sabha elections. He also pointed out that in the current assembly elections, the BJP had increased its seats tally from 40 to 104 and ‘roundly defeated’ both Congress and JD(S), who formed an ‘unholy alliance’ post election to deny BJP the power. Though there is a lot of new-found bonhomie between the Congress and the JD(S) after unseating Yeddyurappa, they will have to overcome a number of hurdles in cobbling together a viable coalition. For one, Siddaramaiah, even after defeat, has got himself elected as leader of the Congress legislature party, and he will continue to hold sway over a majority of legislators. Therefore, Kumaraswamy as chief minister, will not be able to breathe easy. Then, there is the problem of sharing cabinet berths between the two partners, including offering deputy CM post to the Congress. There are a large number of claimants for plum posts on either side, and dissidence can crop up within a few months. However, with 2019 Lok Sabha elections looming large and the entire non-BJP parties across the country, including Trinamool Congress, the Shiv Sena, the Telugu Desam and Telangana Rashtreeya Samithi hailing the Congress-JD(S) combine’s victory in Karnataka, everyone could gravitate towards “opposition unity” to take on the BJP. The canny Deve Gowda, before aligning with the Congress, also would have put the condition that the Congress would have to concede at least half of 28 Lok Sabha seats to his party in the 2019 polls. Newly elected Congress chief Rahul Gandhi too will have to realise the weaknesses of Congress and be prepared to make concessions to regional satraps, to take on the might of BJP. The Karnataka defeat will surely act as more than a wake-up call to the BJP’s Amit Shah and he is also expected to sharpen his party’s strategies and find new allies. Clearly, the Karnataka results have, in a way, sounded the bugle for the big battle in 2019 and the country will go into election mode right away. 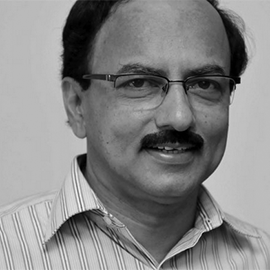 Ramakrishna Upadhya is a senior journalist based in Bangalore, currently working with TV9. Earlier, he was with Deccan Herald, The Telegraph and The Indian Express.